Therapies using an orthodontic plate emphasize teeth preserving rather than teeth removal. The more severe teeth are misaligned, the more likely such malalignments stem from an atrophied jaw or an oral dysfunction. Rather than just correcting the alignment, it is necessary to treat the underlying cause. The use of a removable orthodontic plate allows repositioning of teeth and expansion of dentition, and chewing trainings improve oral functions. 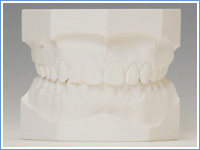 Orthodontic plates are designed to restore the atrophied dentition to its correct size. The two therapies described below are required. Patients undergo chewing trainings designed to strengthen the muscles involved in chewing and to stimulate the jaw that lack the space for teeth. 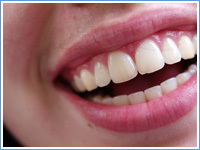 Patients wear an orthodontic plate to expand the dentition into the correct morphology. It is relatively reasonable compared with other orthodontic procedures. The orthodontic plate is removable, allowing patients to remove it when necessary. The device may be removed during tooth brushing, reducing the likelihood of cavity. The removable plate may be misplaced or damaged if not properly handled. Patients receive benefits from the therapy only when the plate is worn.